We won a Liebster award!!! Ok it does not mean we are all rich and famous now but it is still pretty cool. The Liebster is an award that is given out to new bloggers by other bloggers. It is showing recognition and support for your blog within the blog community. I love that idea because I am all about working with others to support each other’s ventures while also having the opportunity to connect with some really cool people. The other great thing is that it means that people are starting to notice our blog. Woo hoo!! Since the Liebster award is also a promotional tool for the blogs involved as well as a way to connect with other bloggers there are a couple of rules. Tell your readers who nominated you and include a link to their blog. Answer the eleven questions they asked you. Nominate some other blogs for the award. I want to say a big thank you from peytonsallovertheplace for the nomination. A rad family of 3 that is adventuring in a sprinter van. They blog about their daughter and life as a parent, van life and renovating their van. They have a really cool blog about the Van life and going on some pretty awesome van trips. They also have a really cute new baby who is of course along for the ride. What is the best memory that you have from your travels? There are so many great memories but honestly this one stands out the most. It was pre-kids and pre-van. The memory is from our hike up to Everest Basecamp in Nepal. After hiking for 9 or so days without guides we reached Everest Basecamp. From there you can summit a ‘small’ mountain called Mount Kalapathar (5,643 metres). On the way up this final incline which takes about 2 hours I started to cry. I was exhausted. By that point my face was swollen and my feet were more swollen than when being pregnant. They actually turned dark purple and leather for months after our trip it was so bad. I was having trouble breathing through the lack of oxygen and elevated heart rate which in the middle of the night was 170 bpm. I was worried that I might not make it to the top and see an amazing view of Everest. I can’t even imagine the work it takes to summit Everest. I kept going, my husband encouraged me and eventually we got to the top. Tears started flowing even more as I took in the tallest mountain in the world. I was standing in fear and awe at the majestic beauty of the mountains. Ugh so many tough questions. I am terrible at decisions. I love snowboarding in the winter but I’ll have to say summer. It is so easy to take the kids outside for walks and hikes, I love love love surfing and swimming in the ocean. I am hopefully going to try river surfing this summer which will make summer even better. Do you prefer being the driver or passenger? HA easy question. Driver! My husband and I often fight over who gets to drive. And driving Dusty our VW?? It’s Bliss! Dusty our VW Van hands down. If we are talking about travelling this one is hard just because I wish I was more spontaneous. I have really realized especially after having kids that I am a planner. What I love about Dusty is that he is forcing me to get in touch with my spontaneous side. If we are talking about life I am pretty spontaneous and love to jump in and try a new adventure like buy a VW Van or travel the world with our first daughter when she was 1 years old. What piece of advice would you give to someone who has never travelled before? Expect the unexpected and enjoy the moments that are tough, or at least be able to look back on them and laugh. If you can’t enjoy these moments you will find travelling very difficult. Where do you see yourself in twenty years? I wish I had an idea! We have been moving around and have no idea where we will end up. Part of me just wants to be a fulltime traveller and part of me wants to settle down. I do love building roots and making long lasting friends. On the other hand I would love to be touring in Dusty with my husband or living on a small piece of land farming. Where was your favorite place as a child? I loved camping in the mountains with my family. My favourite memory was when I was 3 and we drove to Tofino all the way from Saskatoon, Saskatchewan. Coffee or Tea? Iced or Hot? Coffee and definitely hot. I love that cozy feeling of drinking a warm drink. Name one person you would really like to meet. Why? Tara Dakides. She was someone I looked up to when I was about 13 years old. She is a really good female snowboarder that is competitive with the guys as well. I would love to have had the chance to go snowboarding with her and have gotten some tips from her especially when I was younger and could shred. It’s been a while since I have snowboarded so I would be pretty embarrassed about my skills. I have hardly snowboarded since having kids not because I don’t want to but because of the $$$. Anyways now she is a mom and entrepreneur as well and still just seems pretty rad. Now to Nominate some Liebster award Recipients! 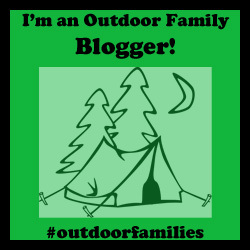 Adventuresomesprout : They are a family that loves to hike and camp like us! They have some great tips and how tos’ for camping including how to make a kid’s hammock bed for a car or van!! Rascal Rides: This family is an outdoors family that loves to bike. They have great tips for families that either are getting into biking or are avid bikers. They also have a super cute little dude that happens to be a great rider. kidproject : Kid project is another family adventure blog/website that is super rad. From skiing, backpacking and climbing all with their kids they also provide gear reviews and trail reports! Just another family that I would love to meet. And…. Here are some questions for you! Describe your best experience with your kid(s) in the outdoors? If you could be any age for a week what age would you be? Updating Born to be Adventurous! !